Wofftown tells you the details of use Portable Motorized Electric Wheelchairs - electric wheelchair China Manufacturer Suzhou Wofftown Co.,Ltd.  The power must be turned off.  The footplates should be removed or swung out of the way. 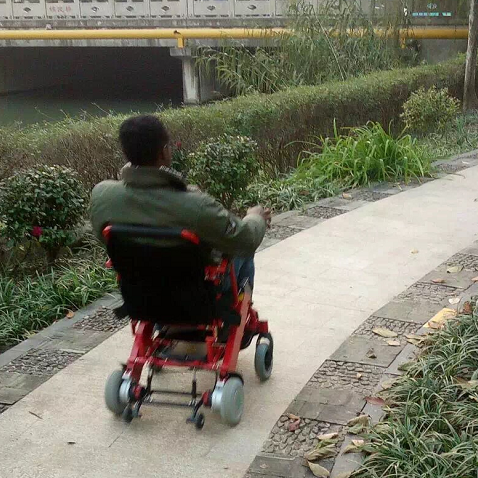  Transfer to the electric wheelchair using your recommended transfer method.  The footplates can now be repositioned down and place your feet comfortably.  The power must be off.  Transfer using your recommended transfer method.  Make sure the electric wheelchair is put on charge (if being left over night). Ensure it is stored out of the way so no-one can trip over it. 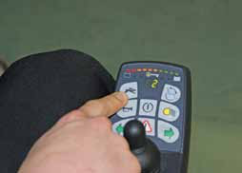  The basics of driving your electric wheelchair is to point the joystick controller in the direction of travel.  When you are driving the electric wheelchair always make sure that both feet are on the footplate to ensure that they do not get trapped under the wheels. 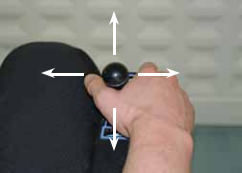  There is button to adjust the speed of your wheelchair. Please choose a safe speed for yourself. It is important that you take note of these safety tips to ensure your safety whilst using the electric wheelchair.  Avoid leaning forwards (beyond the armrests).  Avoid bending to reach low objects.  Avoid reaching behind you over the top of the back rest. Always make sure that the brakes are applied when you are stationary. The brakes come on automatically when the electric wheelchair is turned off. Never stand on footrests. This could cause the wheelchair to tip forwards. Before you were loaned your electric wheelchair it will have been checked and received regular servicing. Check the electric wheelchair regularly for any defects or damage. This is essential for your safety and most effective use. Check they are secure,properly adjusted and operated correctly. Check tyres are inflated and check tyre tread. Check there are no tears to the back and seat canvases. The canvas and frame can be cleaned with warm soapy water. Check nuts/bolts for the footplates, armrests and any accessories you have been loaned. Wofftown is very particular about customer’s feeling, and values the customer’s overall user experience. We provide customized, respectful and considerate service to every customer. If you want to know more about the Folding Power Wheelchair feel free to contact us.